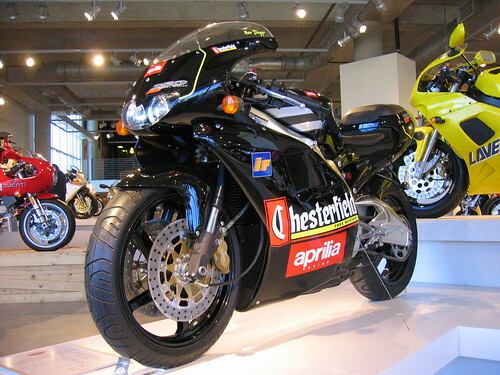 A Dream Realized: 1995 Aprilia RS250 Chesterfield Replica in My Garage! 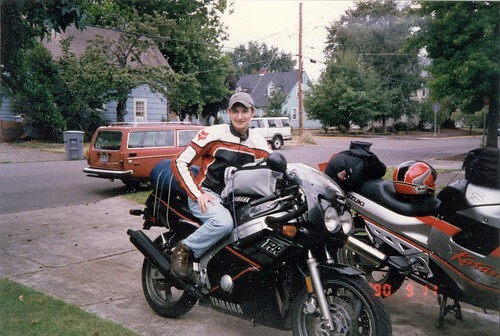 When I first started getting into bikes in the early 90’s, i did a lot of research. It’s in my nature really and no wonder I love the internet so much! 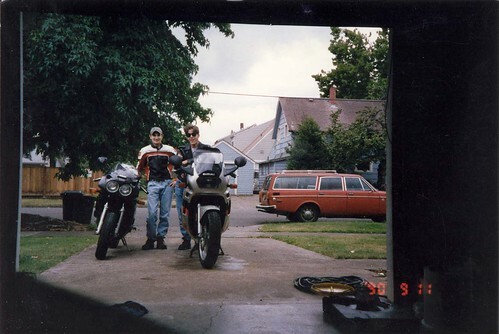 But before the internet, I went to the Corvallis Public Library and Linn-Benton Community College Library, which both had great collections of motorcycle magazines. I spent many afternoons reading them. After my thorough analysis (with no seat time) I really wanted a Yamaha FZR400 or an Aprilia RS250. They both had the performance and look I wanted, and I had rationalized that they’d be great first bikes. But to my dismay the 250 wasn’t being imported and the 400’s were very hard to locate as most of the public wanted the more powerful FZR600. But I figured at least they were available. 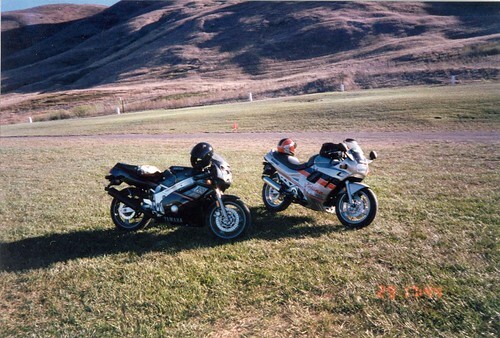 Today the FZR400’s are coveted for their aluminum frames, more pure sporting mission, and performance in amateur racing classes that made them nearly as fast as the 600’s; all of which I knew then and was a large part of why I wanted one — they were special! 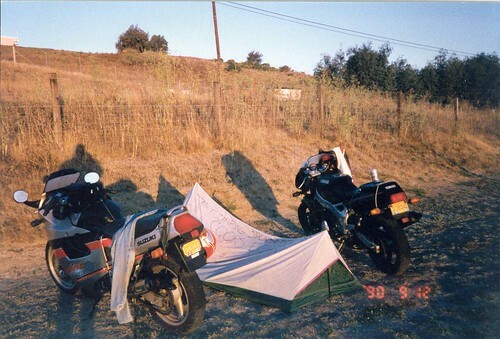 I ended up with a ratty FZR600 as it’s what I could afford at the time though. 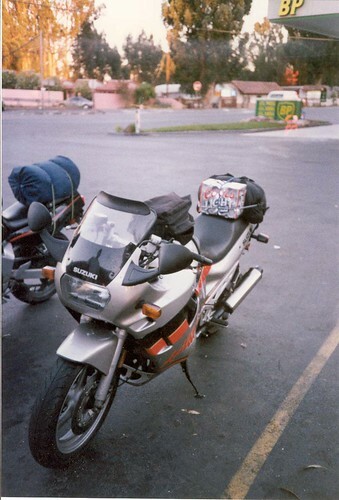 Here’s my original blog post on that bike at an early age riding to Sonomafest with Paul from the Willamette Valley to Bay Area. Sonomafest really opened our eyes to the amazing talent that road racers possessed. Being able to witness their skill at speed, up close and personal, was really inspiring. We started to follow the top road racing series around the world, and in particular would watch the 250GP class on rented VCR videos. 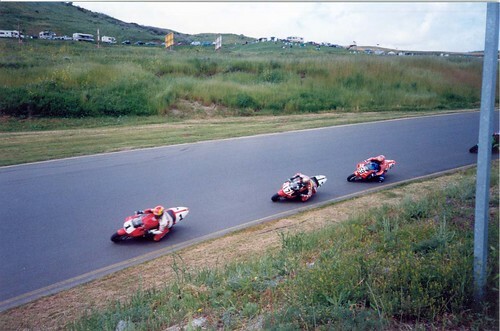 The star of that series was Max Biaggi and he rode the Chesterfield sponsored bike from Aprilia. 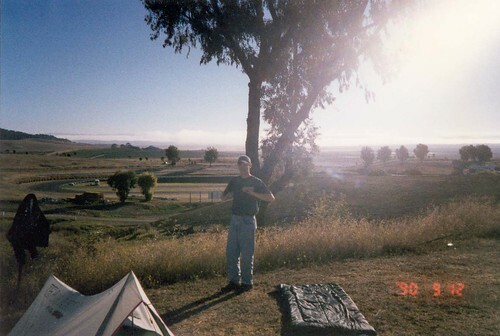 Back to Sonomafest, it is one of my favorite road trip memories because we were essentially broke, had no proper gear, but made the trip anyway with great success as two wide-eyed enthusiasts joined up with what felt like thousands of our soon-to-be peers. As we were staging up for the parade lap of Sears Point that was included with our Cycle World ‘Sonomofest’ ticket package, a guy pulled up next to me on an Aprilia Chesterfield replica — and it even had plates, which certainly added to the excitement of seeing an example like this that was legal-ish to ride on the street! The guy probably thought I was nuts as I practically fell running over to him, motioning to him that I wanted to talk. I tried to ask him how you get an RS250 into the states and get it plated. You could tell he had been asked this a million times, but he wasn’t giving up any secrets today and rode off. Ever since I’ve been watching the ads. And sure enough, every now and again over the years, I would spot an RS250 that was for sale. Not often, but the more that surfaced, the more intent I became on watching the entire web to spot these rare opportunities. In some part, the RS250 and bikes like it, is what made me want to start Rare Sport Bikes For Sale and German Cars For Sale Blog. Skip to 2008 and I actually blogged this exact bike when it came up for sale last time: http://raresportbikesforsale.com/1995-aprilia-rs250-chesterfied-replica/ Later I would find out that it was actually owned by an old childhood friend of mine, who is a part owner of SpeedyMoto. He invited me over to look at it and explained that he couldn’t actually go through with the sale. It was his wife’s bike and she got it from a family friend that went through considerable expense importing it into New York from Holland. But on Tuesday last week he emailed that it was again available and asked if I could help list the bike on RSBFS. I said of course I can, but before we do that, I’M INTERESTED! We quickly settled on a price and the bike is now in my garage with the Ducati 750SS. Now that I’ve been up close with the bike, it’ll be a 7/10 cosmetically when it gets cleaned up. Long story short, it needs some serious time on the buffer. They used it as a backup track day bike and occasional Sunday rider. It’s great mechanically, probably 9/10. Not to mention it came with crazy spares too. Like a full race body kit, a piston rebuild kit, and a factory decal kit that will allow me to restore the factory body work to new when I’m ready some day. Luckily the day we went to get it in Portland, it was an amazing 60 degrees outside in January. That’s unheard of but it made for an amazingly awesome test ride in the sun. It makes about 60hp at the rear wheel and weighs in at 308lbs dry. The gearing is very aggressive right now and as Paul said, first gear is silly. There is next to no power below 6k, but then it starts moving and showing some grunt as the revs climb. When you hit 8k the real magic happens and in an instant another 20-30hp kicks in. It screams to the 12k redline immediately as it tries to lift the front end up — and I’m no lightweight myself! 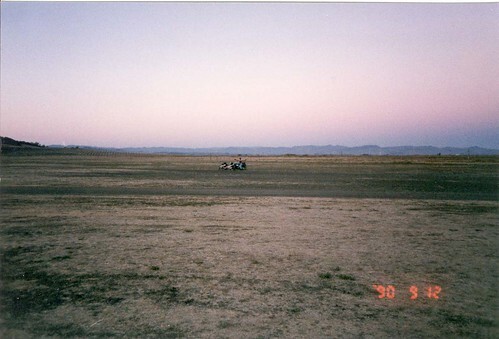 A very special experience was realized this day, and one not soon to be forgotten. Since I read those magazine articles, it only took 16 years to get what I thought I’d never put my hands on. And this is going to sound corny but it probably wouldn’t have happened if RSBFS wasn’t created. The reach, connections, and friendships that the site enjoys has helped me to share what has completely exceeded my expectations and I feel very fortunate. A quick shout out to SpeeyMoto and Christian Hanson. Thanks for the call! Author DanPosted on January 25, 2011 April 4, 2011 Categories Automotive, Motorcycles, On The Job, Personal and FamilyTags Aprilia, Chesterfield Replica, Infineon Raceway, Max Biaggi, RS 250, Sears Point, sonomafest1 Comment on A Dream Realized: 1995 Aprilia RS250 Chesterfield Replica in My Garage!